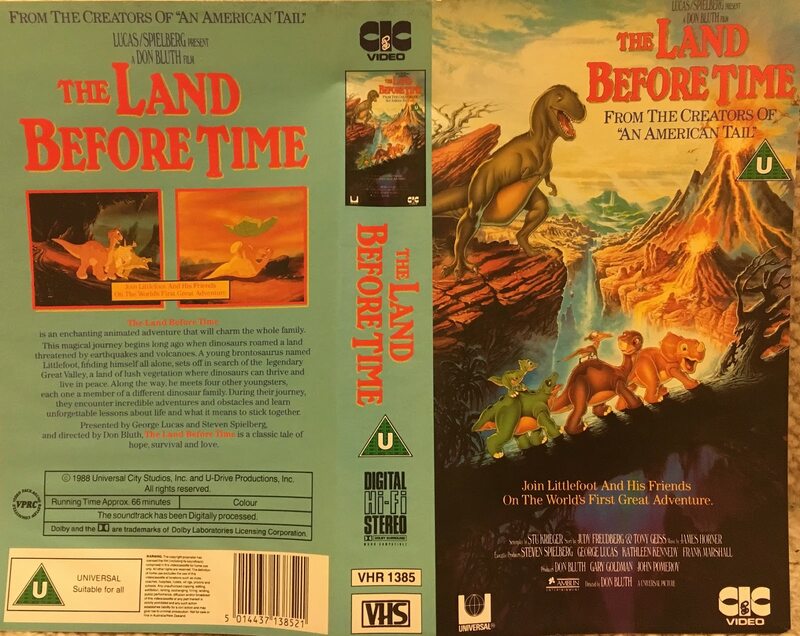 The Land Before Time franchise began with a single movie and it wasn’t until a few years later that they decided to make it into a franchise releasing movies pretty much every year. 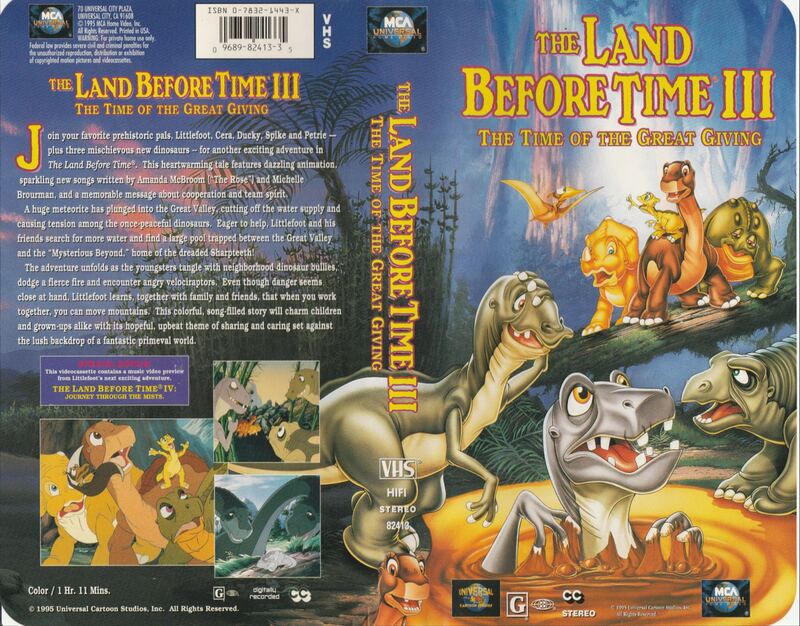 We’re going to take a look at back at all the movies beginning with the first The Land Before Time Trilogy. This means the world had not been established yet and they were still playing around with what the universe would become as well as the movies the original target audience grew up with. When you have a film with names like Don Bluth, Stephen Spielberg and George Lucas attached you know you had something special. This movie was a favorite of mine as a kid and I would rent it constantly from the video store, it was one of my favorite movies as a kid. I didn’t know why but I knew it was better than most other stuff I liked. I re-watched it finally about 2 years ago to see how it held up and I knew I would like it but I fell in love with the movie all over again. Everything is just so well crafted and it truly is a classic movie that deserves all the praise it gets. Looking at the behind the scenes and this movie could’ve only been much better than it already is, like Disney’s Dinosaur it was also not meant to have its characters talk but that was changed. Also some scenes that were finalized were censored and cut from the final movie. Shame that these scenes seem to have been animated and completed but we have no indication that they still exist or that they’ll ever want to release them, maybe one day. This movie came out in 1989 and by the time Jurassic Park came out in 1993 it was still just as popular as a new film. 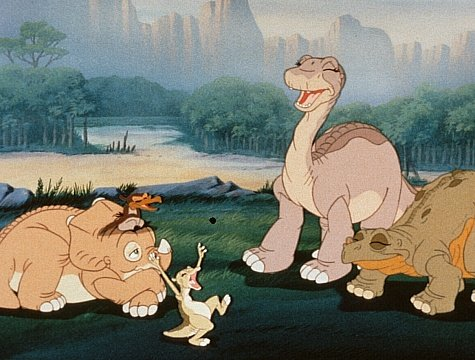 Little Foot, Cera, Ducky, Spike and Petrie all became household names. We finally got a sequel six years later and a year after Jurassic Park made dinosaurs super popular again. When I saw this movie being released as a kid I was as excited as you can get. One of my favorite movies was getting a sequel and it had a baby T-Rex. I remember watching it and saying I loved it, but even then I knew there was something off about it. This being a direct to video sequel with none of the original minds involved meant that some things would be different. The movie was lighter in tone and now featured a bunch of songs.like many children’s animated video movies did. Now that they are in the Great Valley and can live happily ever after it’s a bit hard to make a sequel but the goes to find an adventure and run into some egg eating dinosaurs who are a different type of antagonists. 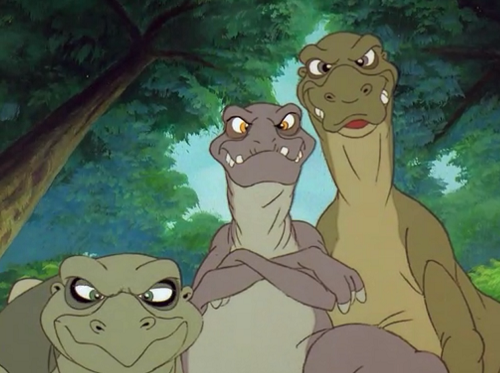 They’re still the bad guys but unlike the Sharptooth from the first movie you know they won’t eat the main characters but are still the bad guys. We meet a baby T-Rex named Chomper who hatches from one of the eggs the eggnappers were trying to steal. Since Chomper is a sharptooth they don’t know if they should trust him but at the end everything works out and Chomper leaves with his parents. Overall the movie is a huge downgrade from the originals but it does give you another adventure with the characters you love. 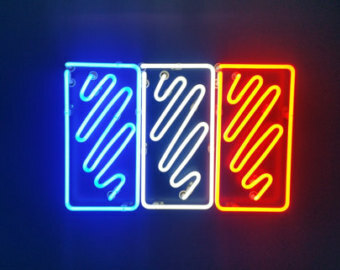 It’s different enough for it not to feel like a rehash even if the stakes are lower. The new characters are interesting and it’s just great to see them. Only real fans and kids should enjoy this movie, if not stick to the classic, but overall if you can live with it being just another random adventure then it’s not bad. Still trying to find a way to write a plot for the characters who reached their happy ending we have this sequel. I remember seeing a little about this movie as a kid in stores but I preferred getting other videos over it so I never did get to watch it even if I wanted. This sequel came out only a year after the first sequel. It’s not a true end of a trilogy or any special story whatsoever. The title is a play on Thanksgiving and they’re trying to tell the origin of this Great Giving dinosaur holiday. 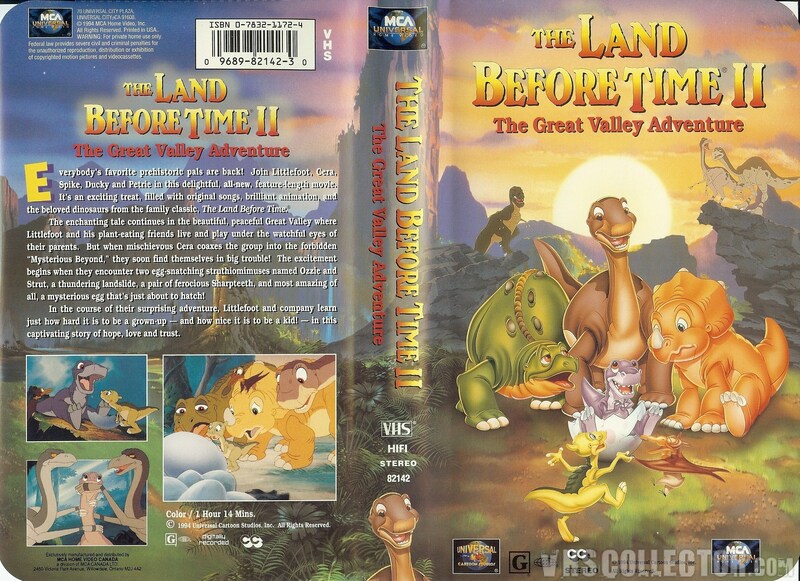 The standard plot is that water stops flowing to the Great Valley and Little Foot and the gang go to find out what’s causing the problem. To add some plot to the movie we see that there are some bullies that give trouble to our gang even if they’re all herbivores. 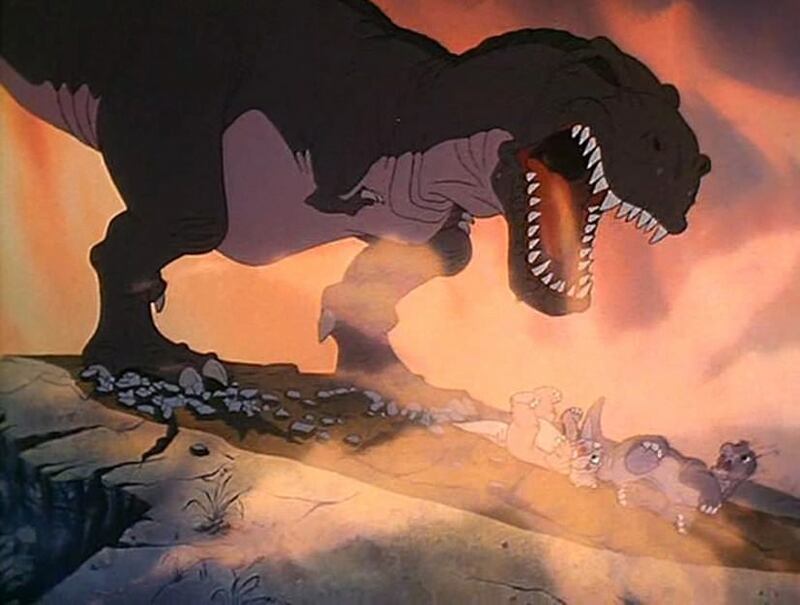 Eventually a fire destroys most of the Great Valley but the bullies and the Little Foot crew learn to work together and scare off some Velociraptors and ending the problem of water flow in the process. Again this movie goes for a totally different antagonist in this case with the bullies, the central problem is the lack of water and later the near destruction of the Great Valley. We do see some Velociraptors but they make a brief appearance only. There doesn’t seem to be a big enough problem here even though the Great Valley was almost destroyed. Because of this it feels a little more lackluster than say the second film who at least had more memorable villains and new characters. The connotation that after this great fire that nearly destroys the valley is a bit weird, it means that all dinosaurs there had to learn to share and eat together which they weren’t doing very well in the beginning until things come back to normal, hence why it was called “The Great Giving” holiday. They make it seem like it took a long time for this to happen and that’s why it’s an important holiday but we see our friends still as kids in the next movie with everything back to normal so retroactively the burnt valley went back to normal rather quickly. 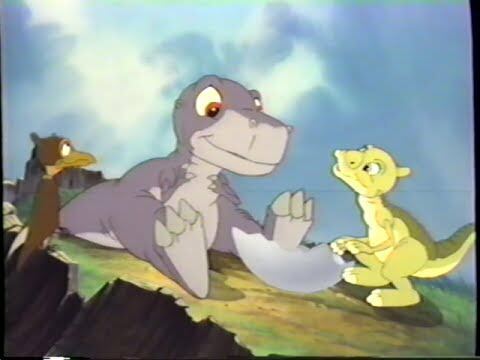 The original trilogy of the Land Before Time tells three very different stories which is good since none of them feel repetitive. 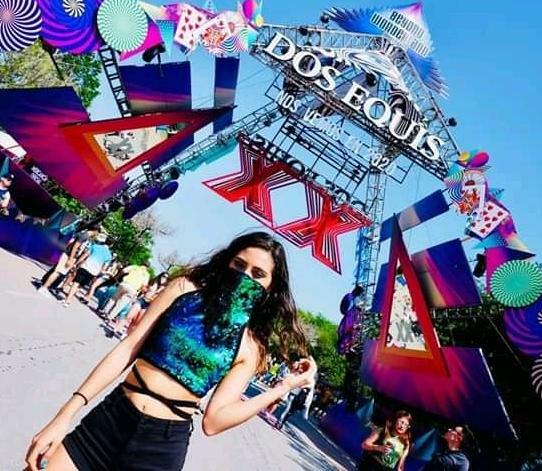 Each one becomes less interesting than the previous one as well. As a trilogy we can say that the third movie did try to imply and give some closure but that’s about it. I wouldn’t recommend either sequel unless you’re a big fan and want to see more stories or you’re a kid, I don’t think either sequel is necessarily bad, they just feel unnecessary.